Asking Allah: As Samee (Allah the All hearing) In episode 02, Nabeel is trying to find his keys. He lost them when he went to see Saalim to tell him a story. Abul Waleed is curious about what story Nabeel told Saalim. Learning about Dua, they both make Dua to As-Samee (Allah The All hearing) to help them find Nabeel\\\\\\\'s keys. Post your comments and suggestions and don\\\\\\\'t for get to recommend to your friends and family! \\\\\\\"The Misri Bunch\\\\\\\" are a group of friends who help each other to learn about Allah, Islam and good morals. Series one concentrates on teaching the young viewers about the Creator (Allah All Mighty). The gang go through exciting stories which helps to explain who The Creator (Allah or God as referred by some) is, by going through His different names and attributes. By knowing Allah you will worship Him in the manner He deserves rather than worshiping false deities. This series was brought to you by Qadimoon Kids - Media dedicated to the Ummah. See the other episodes by purchasing the DVD available from www.Qadimoon.com and www.MisriBunch.com Remember every DVD bought ensures that we continue creating more quality Islamic content for the benefit of our little ones. 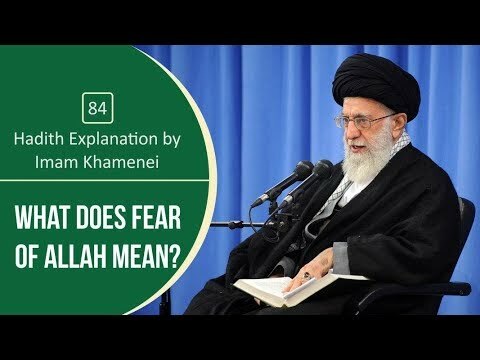 Hadith Explanation by Imam Khamenei | The Fear of Allah Ayatollah Khamenei describes the type of fear one should have in relation to Allah. He further explains what delusion about Allah means. 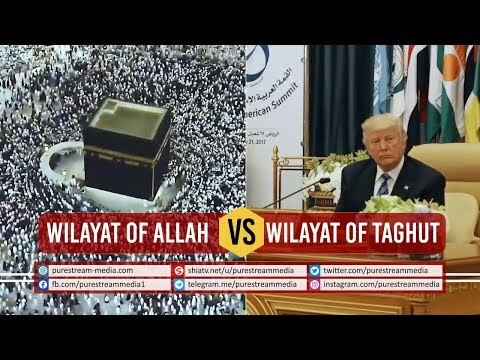 Hadith Explanation by Imam Khamenei | Would Allah Accept Us? Ayatollah Khamenei explains a narration about Prophet Musa (A). Are our long prostrations the only factor for Allah to accept us? Is there a difference between acceptance of duaas and acceptance of a person? What is the hindrance in Allah accepting us? Allah (s.w.t) has bestowed us with countless blessings. We just need to realize how much we all are obliged for the blessings we take for granted. Realize how small we are as compared to Allah\\\\\\\\\\\\\\\'s infinite majesty. What does it take to receive Allah\\\'s support and to be victorious? In the face of the enemy\\\'s continuous onslaught against Islam and those who resist the global arrogance, what do we need to keep in mind if we want to win? The Leader speaks. Ayatollah Khamenei explains the phenomenon of expectations from Allah and gives a few examples to clarify that we may, at times, get way more than expected from Allah. We should never confine our expectation to material calculations. Rely on Allah | Islamic Nasheed When the chips are down, who\\\\\\\'s there to rely on? When disappointment overcomes us, who\\\\\\\'s there to make us hopeful? The sweet taste of reviving the connection with ALLAH is missing in our lives. This beautiful nasheed reminds us of that connection with the Almighty who has the power of changing anything and everything in our lives. Names of ALLAH (s.w.t) - Asma al Husna - ARABIC with ENG translation and ENG transliteration. Excellent especially for kids because it provides the transliteration and translation of the word in Arabic.